Language Learning Success Stories. Steve. Steve is a great example of a VERY successful language learner. We met on Instagram and I quickly discovered that Steve is also a language teacher. He taught Italian at an intensive school in the United States. We were even reading the same book – Fluent Forever! When I had my first live interaction in Russian with Steve I was so impressed with his fluency and his ability to put sentences together with perfect grammar, when I knew that he was learning Russian all on his own! Read the interview with Steve to see what it is that he does that makes him so successful! 1. What languages can you speak fluently? I speak Italian fluently, and maybe English (I’m an American : ) I speak German pretty well, but not fluently, because I haven’t spent much time with it in a very long time (I began teaching myself German when I was 9 years old : ) To me, speaking a language fluently means you can carry on a normal conversation with anyone, without undue hesitation. Of course, by that definition, I don’t talk no English real good, neither : ) But your question was, “What languages can you speak fluently?” The answer is, I can fluently speak any language I put my mind to learning. 2. Why did you decide to learn Russian? My decision to learn Russian is an interesting one. First of all, I should establish that I love languages and cultures. Besides Russian, Italian and German, I’ve also learned a little bit of several other languages, but nothing seriously. Anyway, for many, many years I’ve been interested in Russian, the language, the many cultures of Russia, the people, the beauty of this vast country and also, the language has always seemed a bit mysterious and intriguing to me. For years, I thought I’d like to learn Russian, but never did anything about it. One day (seriously!) I just said to myself: “Are you going to learn Russian, or not? If no, then just forget about it. If yes, then (Disclaimer: This is NOT a Nike ad : ) just DO it!” “Try”, say you? Do, or do not! There is no “try.” So, I decided to not try, but to do it. So, back to the question at hand: Why am I learning Russian? I don’t really have an answer, other than I am determined to learn it for some reason that I really do not understand. 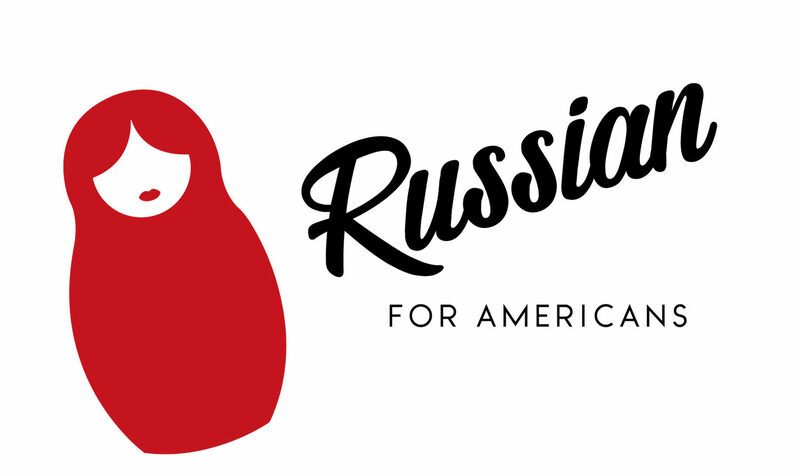 I know that sounds weird, but I feel compelled (and maybe a little obsessed, ok maybe a lot obsessed) to learn Russian, and I have worked on it consistently every single day for the last 3 years. 3. How long have you been learning it? Exactly 3 years. Every. Single. Day. 4. How did you start the learning process? I started learning Russian by buying a program that was purely conversational and written conversation and related phrases. I learned by listening, then repeating, then being asked to remember and repeat things I had been taught in earlier lessons. I strongly believe (no, I actually know), that the way to learn any foreign language is to learn and memorize (yep, memorize! : ) phrases and even entire conversations. This embeds the grammar into your mind without actually studying a lick of grammar. You have to learn stuff in context. You can’t just learn a bunch of non-related words and phrases, and expect to actually learn the language. This is why things like Rosetta Stone and Duolingo,etc., have limited value. As I said, grammar is automatically learned when you learn phrases and conversations. It comes automatically and naturally. However, it is vital to also learn grammar. It’s just that grammar, though it is extremely important, should not be the main emphasis in the learning process. It’s possible to know the entire grammar cold, but at the same time be unable to speak a lick of the language. Later, I added a program that was very grammar-based, but also included reading, dialogue and writing. I also began listening to recorded books in beginning to intermediate Russian and listening to Russian radio and television. Though I understood very little of what I heard in radio and TV, it gave me an understanding and feel of what Russian is supposed to sound like in real life. (Don’t feel bad when you can’t understand what on Earth they are talking about on the radio. My Russian friend says she can’t understand everything on the radio, either!) It is very important to surround yourself with the language as much as possible. Whenever I am doing something that does not require my full attention, I am listening to my recorded Russian lessons, audio books or radio. So, I really get a lot of Russian time. 5. What do you think is one thing a person needs to do to be a successful language learner? You have to set up a schedule and follow it faithfully. To be a successful language learner, you have to really want to learn the language. You have to be willing to make a big sacrifice to do it. It will take a lot of time and hard work. Once you have decided you really do want to learn Russian, you have to be organized and consistent in your learning. And by consistent I do NOT mean spending 6 hours every Saturday, but doing nothing during the other days of the week. You don’t have to be a fanatic like me, but you do have to learn and practice a little every day. It is important to accept the language as it is, meaning, don’t even start questioning why Russian can’t be more like English. Realize that it is what it is, and that it makes perfect sense the way it is constructed, and it is your job to figure out how it is put together. It’s just like putting the pieces of a puzzle together. Russian is NOT a hard language, it is just a complex language. (English is very complex, too, BTW.) Doesn’t that sound fun? Learning Russian is like an adventure of discovery. It’s important to be able to tell the concepts you have learned. Tell someone what you have learned or write it to yourself, if you have nobody around who really cares. I think one of the most important ways to learn anything, is to teach what you have learned. It’s a principle used in teaching medicine: We actually have the phrase, “Learn one, do one, teach one!” Yep, it’s actually a thing. Oh, the original question was “What do you think is one thing a person needs to do to be a successful language learner?” To be successful in any endeavor, you have to be determined, committed and have good resources and a good learning and study plan. If you are truly committed, you’ll figure out the rest. So, maybe absolute commitment is the ONE thing that you need to be successful. In any case, you might need help in establishing a learning and study plan that will work for you personally. We are not all the same, thankfully! First, I read or hear a new word, and decide it is important to me. Or, maybe I realize I don’t know a word I’d really like to know in Russian, so I look it up and also, very importantly, I learn the correct pronunciation. I immediately make a flash card. Blank flash cards (made ‘em myself : ) are sitting on my desk, ready for action. Words can have various meanings in Russian, so check and be sure you find out the correct usage of the word. Flash cards are reviewed daily until mastered. I quiz myself from the Russian side and later from the English side and vice-versa. Then put the mastered ones away for a few days, then pull them out and quiz myself again. Then put them away again, and get them back out a bit later than last time. Not reviewing these already memorized cards every day actually helps your brain to put the words in long-time, permanent memory. Part of this process also includes seeing the words in sentences, so they are in context. You may have already seen that word in context, as in a story, for example. Write down the sentence in which you saw the word, as this keeps the word in a context. Keep a list of such sentences and review them. Go back to the text in which you first saw the word and read it over again. Read it until it seems natural to you. For words to be meaningful, and for you to learn how to use them, you have to see them in action, so to speak. So as you review a word on each flash card, don’t just say the translation, make up a sentence using that word, as well. And each time you review that word, make up a new sentence using it. Don’t stress if you can’t come up with a brand new sentence each and every time, just say something and move on. You haven’t got time or energy to stress over minor, piddly things, because you have an entire language to learn! Make up associations that are silly, insane, exaggerated scenes, words or phrases to help memorize the words. The more crazy and exaggerated, the better. This might sound, well, silly, but it is a proven method and it actually works. For example, достопримечательности, attractions, could be remembered by seeing in your mind a crowd of tourists screaming, fighting and crawling over each other to see a gigantic statue of a dusty premature chattel (cow), and it is so dusty that it is nasty. So, it is a “dusty preemie chattel nasty.” Порез, a cut, could be remembered by seeing a golfer swing his club, cut the grass with his club as he swings, and make par. “Par! Yes!” This gives you the basic framework of the word, and it’s up to you to find out and make sure you have the pronunciation right. Eventually, the silly associations fade away and the words become a natural part of your vocabulary. Look for words that are related to other words. This can really boost your vocabulary. For example, Надежда and безнадёжный, along with надеяться and я надеюсь. Another example: художественный and художник, etc. There are tons of examples. 7. What do you think is the most important aspect of language learning (reading, speaking, writing, listening, culture)? I don’t’ think any one aspect is more important than the other. All aspects of a language go together into one whole. By taking advantage of each of the above aspects of language learning, you will find out that they compliment and reinforce one another. You use different types of learning with each aspect. Speaking utilizes your mouth, tongue and vocal cords and all the related muscles thereof, writing utilizes your hand and arm muscles (muscle memory), listening utilizes, well, you get the idea. Of course, your brain is used with every aspect, but in different ways. The more modalities you incorporate into your learning, the more solidly it is programmed into you. To neglect any of these, is like learning how to fly a jet liner, but not learning how to land it. How are you going to carry on a conversation if you cannot speak or listen and understand? If you want to really know the language, you really have to speak it, and you really have to be able to read and write it. Have you ever heard the term illiterate? You don’t want to be that, do you? Culture is a vital part of language learning. Culture brings the language alive, it helps explain why certain phrases and words are used the way they are. It helps you to better understand the people, their attitudes, their unique way of seeing things. Also, unless you know the language of a country, you never will fully understand that country’s culture. Interesting how the two concepts compliment each other! 8. What is the most difficult thing about Russian for you? I don’t think anything about Russian is difficult. I just think learning Russian takes a lot of work and dedication. Fluency is not going to just drop into your lap. It’s like any other skill or ability that people want to discover, learn and perfect. I also think that by saying that something is difficult, you set yourself up for failure. I figured that-one out when I was literally in second grade, when I heard someone say that a certain subject was difficult when I knew it wasn’t, and when I realized they were unnecessarily dumbing-down some things for us. Saying that something is difficult, is similar to the self-defeating phrase, “try.” Some language teachers even say, “try” to say this or “try” to do that. It’s negative programming and a setup for failure. Just do it, stick with it, and never look back. 9. What advice do you have for other learners of Russian? On this particular planet, there is no course, class, app or program that will make you fluent in any language. Any advertising making such claims is pure, unadulterated baloney. Becoming fluent is totally up to you, and completely depends upon your dedication and hard work. Period. Listen very carefully to a native speaker’s pronunciation of a word. There are certain sounds that as English-speakers, we just do not hear. But we can learn to hear them. One example is how the Russian soft sign, ь, changes the sound of the letter before it. Another example is ш vs щ. We have blocked some of these sounds out because they are not part of our language. Practice correctly hearing and pronouncing what are called Russian Minimal Pairs. For example: МЫ́ЛО (soap) vs. МИ́ЛО (nice), СОФÁ (sofá) vs. СОВÁ (owl), ШЁЛК (silk) vs. ЩЁЛК (click), БРАТ (brother) vs. БРАТЬ (to take). With practice and very careful listening, you will soon be able to both hear and pronounce them. Another example of this phenomenon is how Japanese people simply do not hear the letters “r” and “l”, among others. The fact is, in Japanese these sounds do not exist as we pronounce them, and they just don’t hear them. Would you rike a bowr of lice? When you read a story, re-tell the story in your own words. Be sure to use the new vocabulary when you re-tell it. If you don’t remember the new words, well then, review your freshly-made, hot-off-the-press flash cards! Don’t be afraid to talk! Just DO it, as I said before. Yes, the words and sounds are weird by English standards, and sometimes it’s hard to twist your mouth, cheeks and tongue around to make some of those sounds. (Maybe that’s why I can pronounce pretty much everything in any language, because as a kid I used to make lots of weird sounds with my voice! Now of course I never, ever do that, because now I am an adult, sort of! : ) Nobody’s going to make fun of you or think you are an idiot because your Russian isn’t perfect. On the contrary, most people will admire you for your effort. Many will even tell you how well you speak! Oh, and here’s another tip I almost forgot to tell you: Do you want to sound like a Russian? Yes? Then talk like a Russian! Yep, listen to how Russians speak in English, then imitate them, even exaggerating a bit (or a lot), in English. (Don’t do it to their face, though : ) Then, speak Russian using that same pronunciation and accent. It’s silly, but it works. It really does. Take away message: To learn Russian, you have to be willing to be silly and to work very hard. Russians have to work just as hard to learn English. That’s it in a nutshell. One more thing: and even though you are just learning Russian, speak it with authority, not doubting. Speak as if you were the greatest speaker of Russian since Pushkin! Of course, it isn’t true, but pretend, because your attitude is EVERYTHING. What do Russians cook for New Year’s?